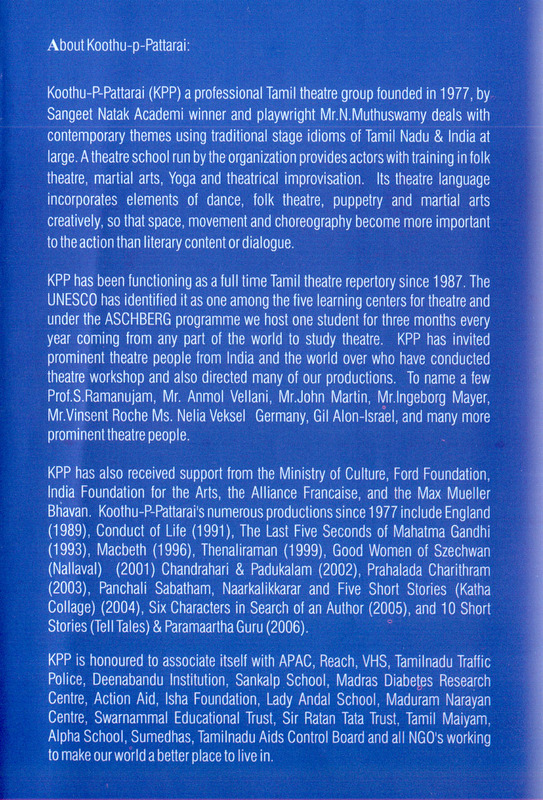 Pongal Greetings from everyone at Koothu-p-Pattarai. 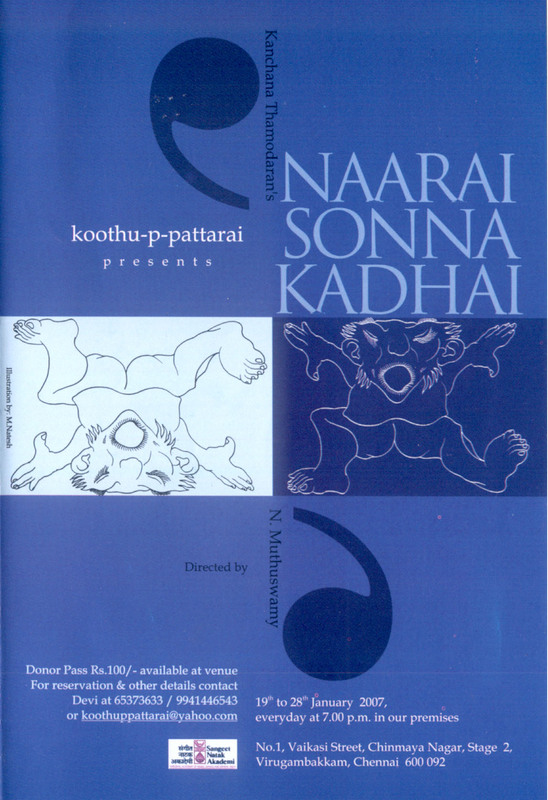 “Naarai Sonna Kadhai” from 19th to 28th Jan – 2007 @ 7.00 PM every day. 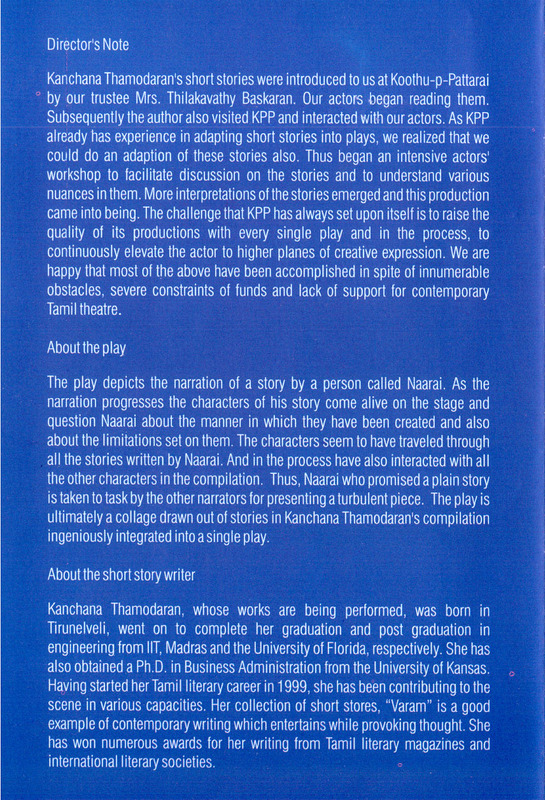 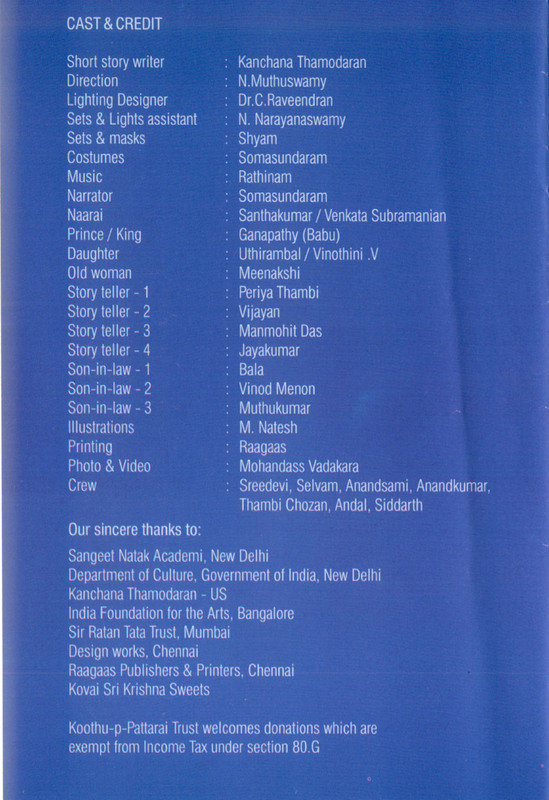 No.1, Vaikasi Street, Chinmaya Nagar, Stage – 2, Virugambakkam, Chennai – 92.